We are established with the view to set new benchmarks of excellency in manufacturing and supplying a wide assortment of Lifting Equipment. These find application in chemical, oil and fertilizer industry for easy usage. We manufacture, supply, trade and export a wide range of Lifting Accessories which are applicable in various industries for moving, lifting and shifting the goods from one to other with carefully. We offer these accessories as per the specification mentioned by clients. 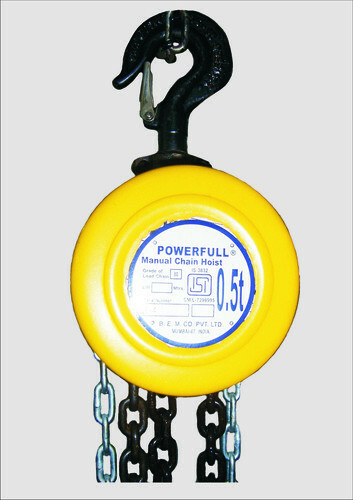 Our range of lifting accessories includes chain pulley blocks, stainless steel chain pulley block, traveling trolley, alloy steel chain slings, hook block assembly. These accessories are checked on various aspects before delivery to our valued customers.